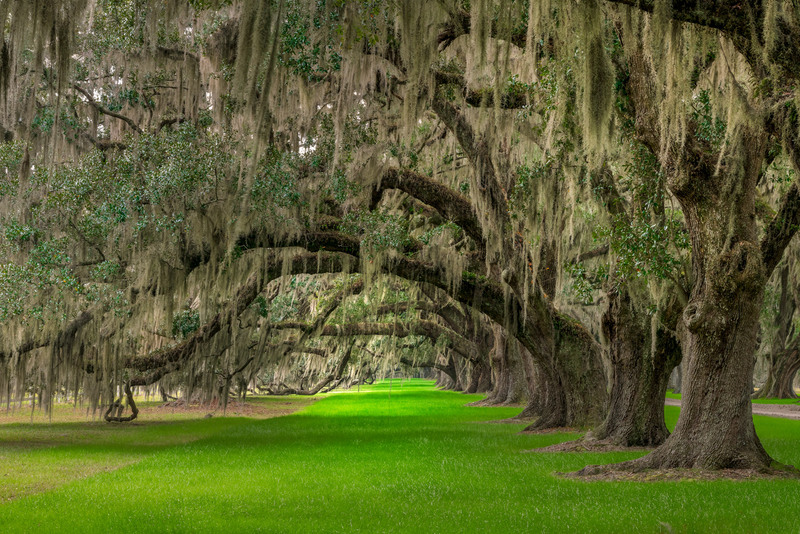 The entrance to this private plantation is lined with these wonderful oak trees with limbs that drape towards the ground on the outside of the entrance drive. The tunnel formed by the limbs seems to go on forever. The hanging moss is the perfect touch to provide a softness to the scene.
. Photo © copyright by Joseph C. Filer.